At the moment we have group lessons only in Russian language. For group lessons in English or Dutch a group of at least 3 children need to be formed. For more information, please, contact us at musandpaint@gmail.com. Individual vocal or piano lessons or a combination of instruments and theory can be held in English, Dutch, Russian, Romanian or Greek. For more information about the pass in English, visit The Hague municipality site. For Dutch you can visit the official ooievaarspas site. Integrated Art Workshops “MUSANDPAINT” is a series of workshops where MUSIC and MOVEMENT connect. 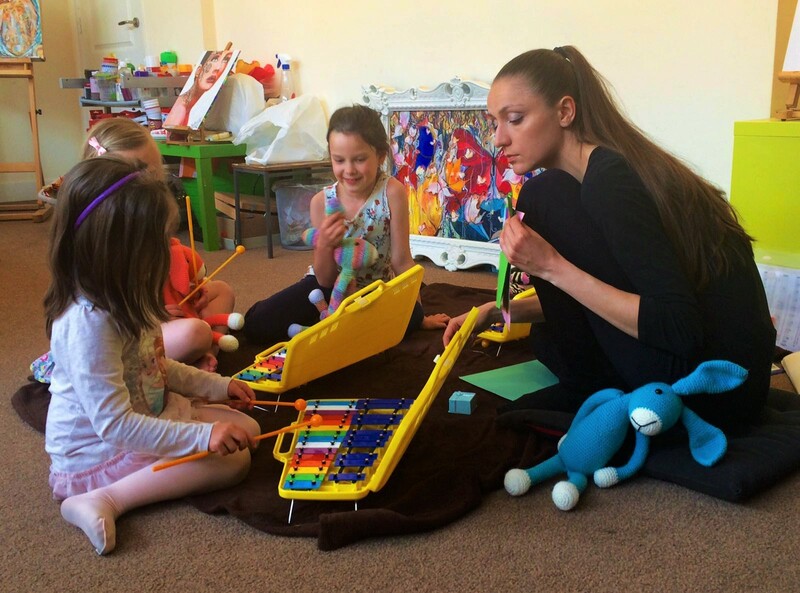 The children don’t only learn to sing songs but also how to listen to music (classical/world) by making associations with other things they are already familiar with and then orchestrating the pieces with different instruments. Besides this, children learn how to move with grace. We do not only use movement but we make choreography on music. The lessons are meant for different age groups starting from 6 months (with parents) till 8 years old and are organised in groups of 3-6 or 8-10 children. Lessons are held in English, Dutch or Russian. For those who like to be introduced into Russian culture and learn Russian songs, please, join our vocal group! We meet every week on Mondays at 19.30. For a more detailed description go to lessons. I would like to register my daughter for the trial lesson on 1st September. How do I do this ? I couldn’t find an email address on your blog.